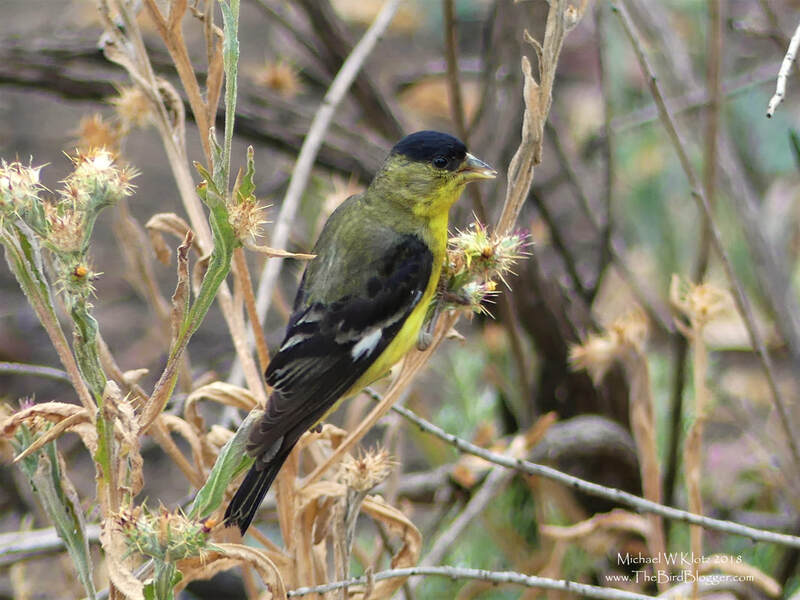 Lesser Goldfinch are one of three species of goldfinch in North America and this bird being the second most common. The range of this bird i from the southwestern states all the way into northern South America. They are very commonly found in flocks picking at the seeds of thistle or sunflower. Males that are in breeding plumage on the eastern part of the range are solid black on the head and back with the light yellow on the underparts including the throat, belly and under tail coverts. The western birds have the olive green on the back seen here in Peters Canyon Regional Park.